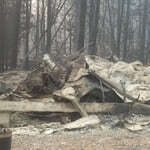 We are one of those who lost our home and all its contents to the Paradise Camp Fire. The representatives of State Farm have been good at getting us an advance and put us in an adequate hotel (where about 200 other fire loss victims have been placed) 70 miles from our home. Four weeks later we have not been contacted by the people estimating the value of the home itself and we are required to list ALL of our possessions and give their worth and other info(place of purchase, dates etc., so THEY can determine the value. EVERY other insurance company, from the numerous other victims we have talked to, has NOT had to list their possessions, but were paid their full value (and sometimes more) on the policy. Even the Government has recommended that Insurance Carriers expedite this process to get people back on their feet. EVERY State Farm policy holder is being made to create these lists, a very lengthy and painful process after such a loss. State Farm should be ashamed of themselves. We are told settlement is still weeks (or more) away and meanwhile we are continuing to make out our possessions lists. We will NEVER use State Farm again, even if we are paid our policy amount for the complete loss.